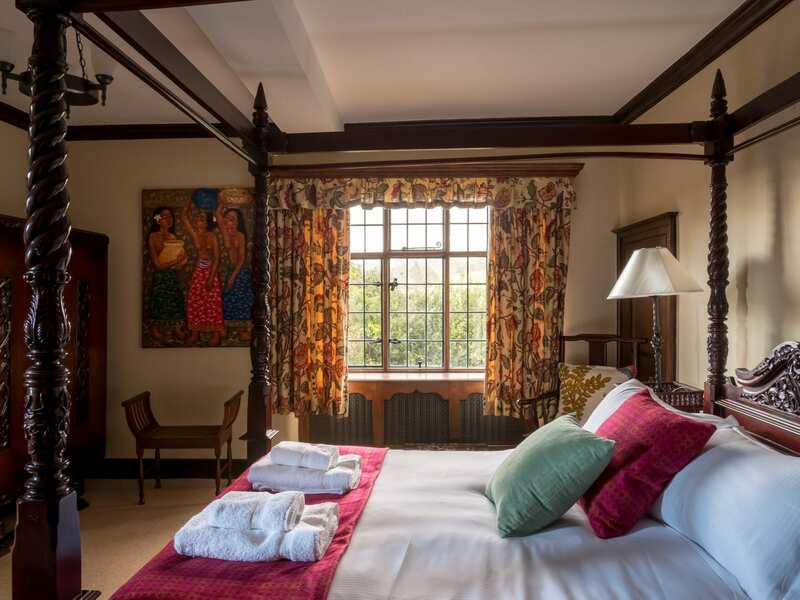 Pye Corner Broadway is a gorgeous large, classic eight to ten bedroom 17th century Cotswold country house with not only the most lovely gardens but a slight oriental theme; reflecting the owner’s heritage. A warm, rich period house in a classic Cotswold setting with open country views on three sides in a peaceful situation yet it is only an eight minute walk from the centre of the classic town of Broadway; with it's pubs, restaurants and a fantastic deli. 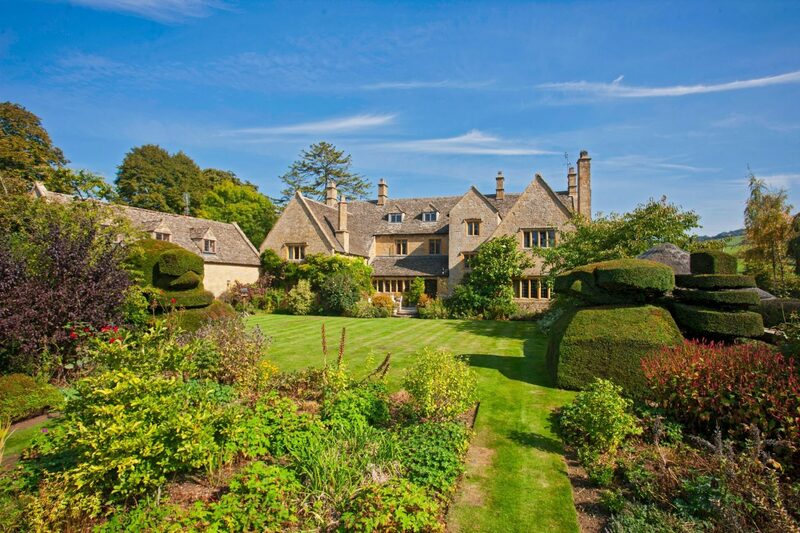 Pye Corner Broadway is a gorgeous large, classic eight to ten bedroom 17th century Cotswold country house with not only the most lovely gardens but a slight oriental theme; reflecting the owner’s heritage. A warm, rich period house in a classic Cotswold setting with open country views on three sides in a peaceful situation yet it is only an eight minute walk from the centre of the classic town of Broadway; with it’s pubs, restaurants and a fantastic deli. 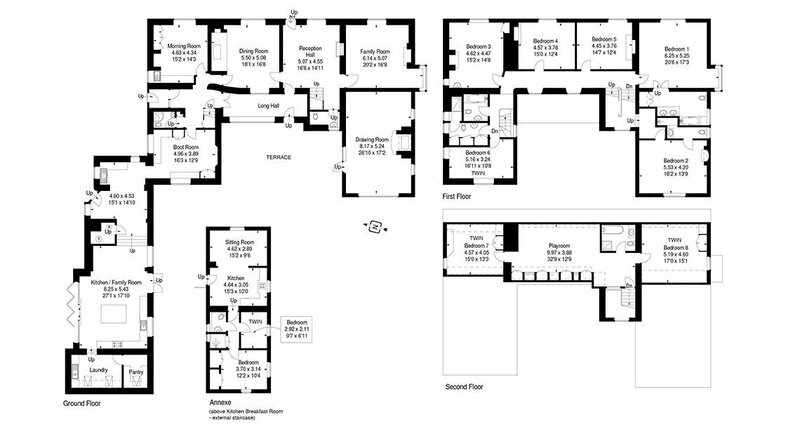 There are six first floor bedrooms – two en-suite – and two second floor bedrooms that are ideal for children sharing; as they have a playroom and bathroom betwixt the two. 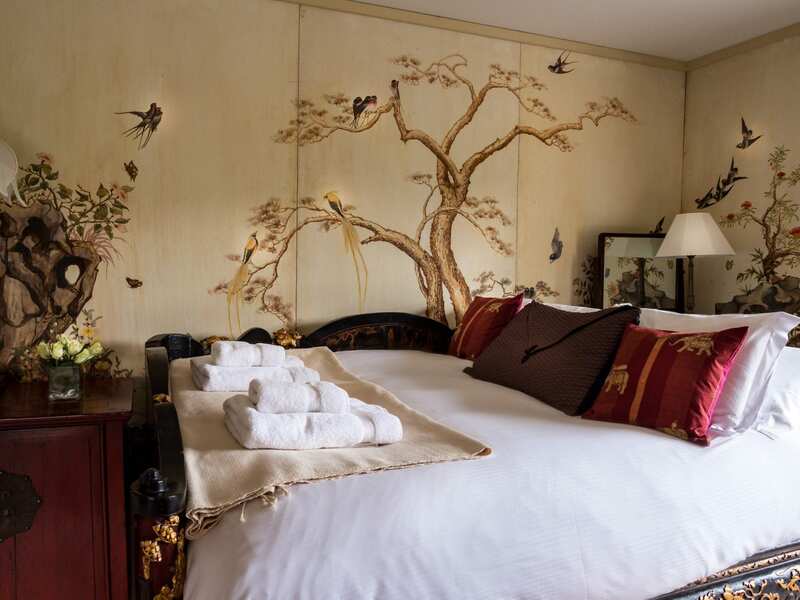 The master en-suite bedroom features antique Chinese furniture, an Opium Bed complete with steps – if you have one too many a sherry for Christmas lunch – and hand painted Chinese murals. To complement the bedrooms there are seven bathrooms with copious amounts of hot water, which is not that common with such large houses. There is also a self contained two bedroom flat above the kitchen breakfast room – accessed separately from the main house – that can be rented with the main house if required; ideal for older children or staff perhaps. When not required the flat is not rented separately. The two acres of formal gardens are gorgeous and tucked away at the end a heated (seasonal) and gated swimming pool, with pool house and a children’s play area. And there is also a stocked vegetable garden and one acre orchard that guests can help themselves to. Pye Corner is also an ideal base for Cheltenham and the races as it is only 15 miles away. And on Good Friday, 30 March 2018, the golden age of steam will return to Broadway. On the first three weekends in March 2018 services will run between Cheltenham Racecourse via Winchcombe and Toddington and Little Buckland, some 2 miles short of Broadway. From 30 March services will run over the full length of the line, with a special timetable (see website for details) over the Easter holiday (30 March to 2 April). Thereafter, trains will run on weekends and some weekdays until the end of October, and between Christmas and New Year. There is a huge National Lottery funded Activity Park for children in walking distance of the house via footpaths across the fields; with views up to Broadway Tower. Broadway Tower is not just a Georgian Folly – inspired by Capability Brown and designed by James Wyatt and formerly used as a ‘holiday home’ by the likes of William Morris, Dante Gabriel Rossetti and Edward Burne-Jones – but also houses a nuclear bunker. And Snowshill Manor, a stunning National Trust Property, is only just over 1 mile from the house; and a little further on is Cotswold Lavender. The barn shop and tea room are open all year round but the best time to visit is between 9th June to 5th August. And Adam Henson’s Cotswold Farm Park is also only seven miles down the road. Jill Carenza Equestrian riding stables are not far away in the village of Stanton, for those who would enjoy a hack across the Cotswold hills or fancy formal dressage lessons. But if you fancy something a little less strenuous, retail therapy is close at hand with beautiful shops to browse in the centre of Broadway; including OKA, Cotswold Trading Company, Sue Parkinson and the Broadway Wine Company.